The JX1 medium level order picker, with its heavy duty, stable mast and a large working platform, will undoubtedly help to optimize any warehouse picking operation, whilst also giving your employees the safe environment they need to work efficiently and effectively. 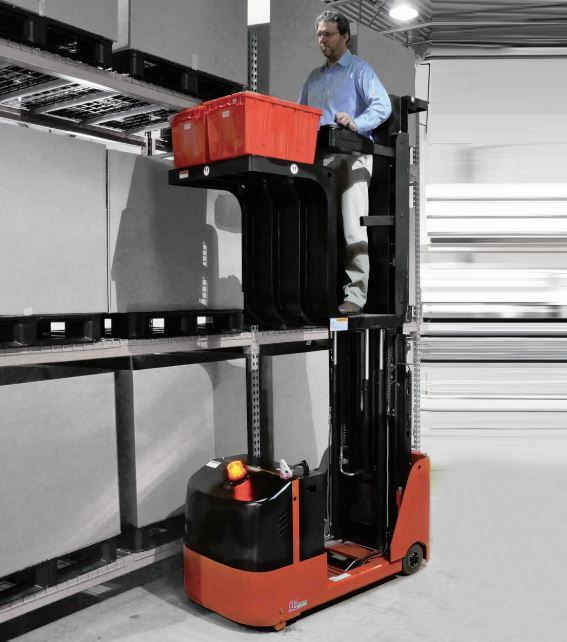 The JX1 can elevate an operator up to as much as 4880mm, turn around in as little as 1385mm, and can be driven whilst lifted making moving from task to task effortless. Power is provided by a high efficiency AC drive motor that can be programmed through the onboard LCD dash, while power comes from a 224AH AGM maintenance free battery pack that supports charging from a standard 230V outlet. This model can also be supplied with a larger industrial battery and external charger. 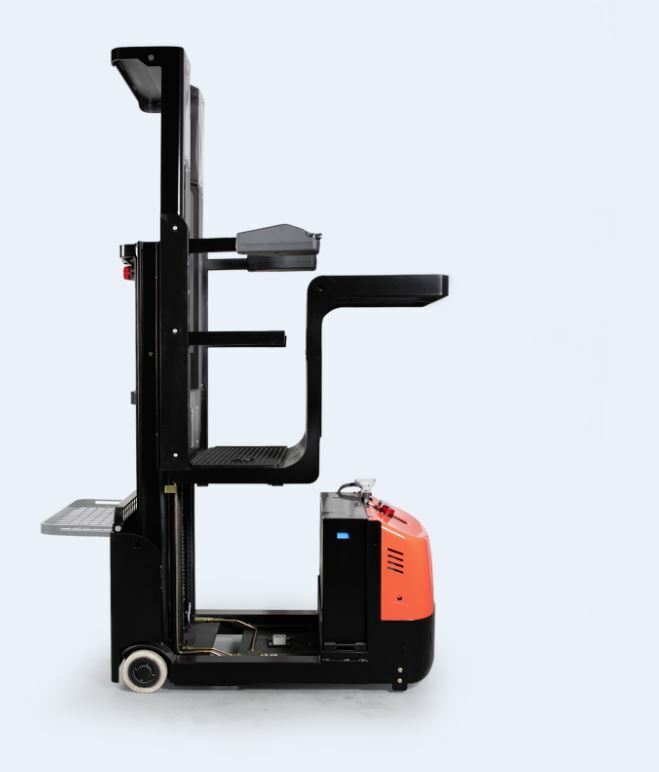 The JX1 vertical order picker from EP Equipment is a unique product. Positioned between low level order picker, ladders and extremely cost intense VNA trucks. 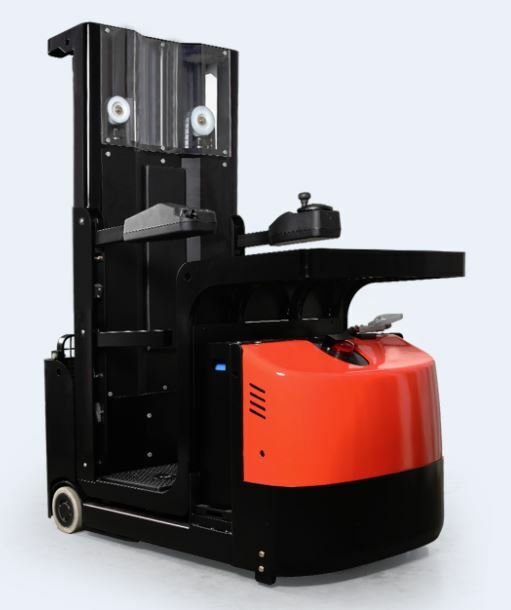 the JX1 order picker gives you the ability to pick products at a heights of up to 6,5 meters while using a compact, extremely stable truck at a very reasonable price. Designed for the E-Commerce and small goods picking environment this product will help you improve productivity and increase safety in the warehouse and in shop floor aisles.